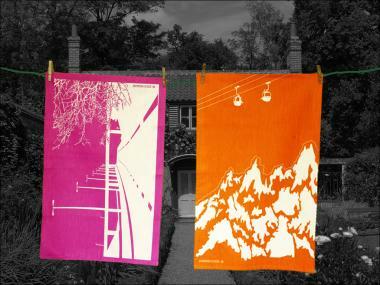 Also new in my collection, the cheerful and colorful 'Summer Holiday' tea towels from Snowden Flood. Snowden is inspired by many different things but is particularly keen on souvenirs and keepsakes. 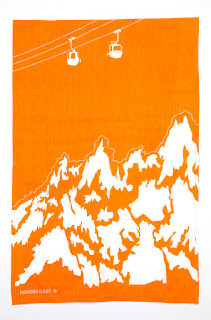 Her work is stocked by many of the worlds best stores and she frequently undertakes commissions - clients include Tate Modern and British Museum. She is based in a studio/shop near the river Thames in London. 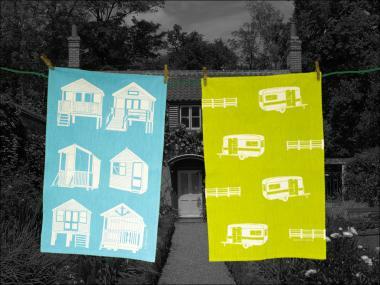 The tea towels are handprinted using water-based inks on to white linen.